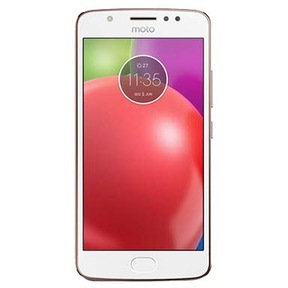 The Motorola Moto E4 was available for 8,480 INR,when launched. Due to its power-packed features on papers, many were misled into considering it as a mid-range smartphone. It came loaded with a quad-core processor, Android Nougat, micro SD, a removable battery and the added feature of a fingerprint sensor. The 2.5D glass panel smoothly progressed to its plastic body, a feature definitely impressive for the price range it came in. Even though the phone was a steal at its price, it came with its fair share of problems. Being a budget phone, a lot of users complained about problems like hanging of the device, or slow performance of tasks. So, even though it was a power packed device, with a lot of features and fingerprint sensors at an affordable price, it was not everyone’s cup of tea. The phone was launched in June 2017. A lot of new budget entries have come up in the market since then. Some like, Lenovo and Xiaomi, are worthy contenders for this device. Selling this device might not even fetch a decent resale value as time passes. This is where Cashify comes in and saves the day! Why Sell Your Old Motorola Moto E4 On Cashify? Cashify can evaluate the best price of any smartphone, like for your old Moto E4. This is made possible with Cashify’s exclusive partnership with almost all phone manufacturing companies, such as Xiaomi, Samsung and even Apple. The process of selling your old phone on Cashify is extremely easy. Just visit Cashify’s website and type in your phone model. 2. Based on your inputs, it offers you a fair price, complete with a doorstep pickup so you that you can easily sell old mobile phones while sitting at home. Cashify values its customers and their comfort. Cashify is the most trusted platform in India to sell mobile phones and other gadgets online for instant payments. So schedule a pickup now!